Brew a pot of coffee, or better yet, pour yourself a generous dram of your favorite Wild Turkey because today I’m going to tell you a story. It’s a story about bourbon – a story with all the typical trappings: 19th-century history, a beautiful rural Kentucky landscape, coming of age, new discoveries, and a life-changing experience. And unlike a lot of bourbon stories (far too many to name), I believe this one to be true. It’s a story many folks can relate to, especially those (like myself) who in their youth struggled with what their future might be in the family business. Yet, as wonderful as the story may be, in the end it’s about that business. It’s about selling bourbon. Master’s Keep 1894, the third expression in Master Distiller Eddie Russell’s limited series of rare Kentucky Straight Bourbon Whiskies, honours the sacred place where he first fell in love with bourbon. In 1894, Rickhouse A was the first structure built on top of Wild Turkey Hill, overlooking the mighty Kentucky River, and for over a century has reliably produced some of the world’s finest whiskies. The strength of Rickhouse A lies in its elevation and exposure to the elements, which enable the bourbon to breathe and move freely through the barrel with the seasons. In the summer of 1981, a distillery worker led a young Eddie Russell up the rickety stairs of Wild Turkey’s oldest rickhouse to give him his first taste of whiskey straight from the barrel. It was then Eddie decided to dedicate his life to Wild Turkey. Bottling that life-changing moment, Master Distiller Eddie Russell introduces an extraordinary bourbon made from his private selection of barrels in Rickhouse A. The marriage of these precious barrels laid to rest in the last 13 years results in a spectacular experience. Layers of toffee and honey give way to fruity notes of candied pear, stewed apples, spice, subtle oak and vanilla, before delivering a long, lingering and caramel finish. To Eddie Russell, Master’s Keep 1894 is perfection in a bottle – an ode to that dream-like summer day in historic Rickhouse A.
I’ve heard Eddie share this recollection before on more than one occasion. As I mentioned earlier in this post, it’s truly a wonderful story and I enjoy hearing it every time it’s told. Naturally, a story of such importance should have a whiskey to carry its emotional weight, shouldn’t it? I’m going to pause right there and move forward with the tasting. I have a lot to say about 1894, but I think it’s best we have perspective on the bourbon itself before continuing the discussion. Overall: Well, that’s disappointing. I’m sorry. I honestly don’t like saying it’s disappointing, but it’s true. While this certainly isn’t bad bourbon, it’s not impressive bourbon either. The nose is light, the flavor is light, and the finish is light. It’s Wild Turkey light. If there’s 13-year bourbon in here, it’s either from the lowest floors or significantly diluted. According to the The Whisky Ledger (which reportedly asked Eddie directly), it’s a blend of 6, 11, and 13 year old KSBW from Warehouse A. Sounds like a rickhouse-limited Rare Breed diluted to 90 proof, and it very much tastes that way. Not at all what I was expecting for an LE release. I mean, I knew it was a lower proof expression going into the tasting, but so are Diamond and Master’s Keep 17. Each of those limited editions are notably more complex and flavorful. So, what’s going on? How did this come to be? Why Australia only? And why the hefty price tag ($199 AUS)? Well, let me start by saying that I don’t have definitive answers. I want to make that crystal clear. I’ll give you my best guesses and develop from there. I’d ask Eddie directly, but I feel bad enough even typing this review (awful, actually). Wild Turkey is my passion. As much as I’d like to give nothing but glowing reviews and offer spin-positive criticism, I just can’t. There are plenty of whiskey blogs and reviewers out there that do that already. I’m focused on one thing and that’s Wild Turkey. While my loyalty is with the brand, that loyalty is trusted by my readers. If I’m dishonest with a review, this site is basically worthless. I sincerely hope that Eddie and the folks and WT and Campari understand this. Tough love is still love. Let’s start with how this whiskey came to be and why Australia only, as I believe they go hand-in-hand. Alcohol tax in Australia is ridiculous. If you think American taxes on spirits are bad, research what Aussie’s have to deal with (about $83 AUS per liter of pure alcohol). 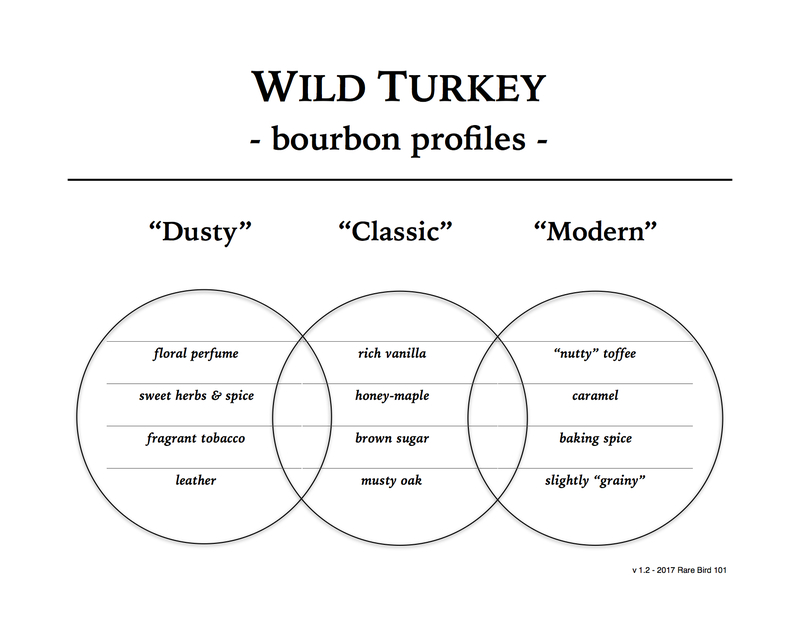 That’s primarily why Wild Turkey 101 isn’t a staple down there (it’s considered very super premium). Instead, they have WT 86.8 as a standard. The last time the US saw 86.8 as a core expression was in the mid/late 1980’s. My guess is that the taxes on Master’s Keep Decades (104 proof) negatively affected net profit when factored into the $199 AUS (tax-inclusive) retail price. As a result, I believe WT/Campari resolved to customize the next Master’s Keep to fit the Australian marketplace (and therefore, increase net profit). Enter Master’s Keep 1894 at 90 proof. Do I really think that Eddie Russell believes 1894 to be “perfection in a bottle?” Nah. I think this is all marketing chatter typical of the bourbon industry. It’s my opinion that Eddie was working within a box. He had to come up with a low-proof KSBW special enough to be a limited edition for the Australian market. The unique barrels used for Master’s Keep 17 were gone, so he worked with what was left (very likely a few select barrels from the lowest floors of Warehouse A). But my guess is those weren’t enough to reach projected yield, so how does one solve that problem? Find barrels from other floors – barrels you can dilute enough to stay within the confines of the metaphorical box. At least, that’s how I’m envisioning it. And the story? Well, the heartfelt biographical narrative helps to frame the release as special, and thereby justifies (or at least attempts to justify) the hefty $199 AUS pricetag. While I hate even thinking that, it’s the best I’ve got. Maybe I’m wrong. Maybe the batch came first. Maybe Eddie came up with this lower-proof 6, 11, and 13-year blend out of the blue and decided it was destined for Australia. But I just don’t see that. To me, Eddie’s profile is Russell’s Reserve Single Barrel, and Master’s Keep 1894 is so very far from it (in profile and price). I think what frustrates me most about Master’s Keep 1894 echoes back to my introduction. It’s an amazing story, but in the end it’s about business. It’s about selling bourbon with a story. And let’s be clear – it’s not my story, but it’s a damn good one and I can’t help but feel like it deserves a better whiskey. Just because the first straight-from-the-barrel sip came from Warehouse A doesn’t mean you have to use barrels from Warehouse A to tell the story. You don’t even have to create a batch that duplicates that exact barrel. Accuracy and art often don’t go well together. Take for example Kevin Costner’s Wyatt Earp. While arguably the more historically accurate film in comparison to Kurt Russell’s Tombstone, Tombstone is a grand-slam entertainment masterpiece. I mean, how many Doc Holliday lines can you recite from Wyatt Earp? You’re a daisy if you think it’s more than one. So, what’s going on? Where am I going with this? Well, Kilmer’s Doc Holliday would call it a reckoning. I call it taking account of the situation and setting things right. I noticed that some of the promotional materials for Master’s Keep 1894 state “the third release.” So either Australia’s 1894 will remain uniquely out of sequence from domestic Master’s Keep releases, or they’re going to get skipped at some point. Needless to say, Master’s Keep Revival is coming soon (per US TTB filing). Revival is stated (or at least filed) to be a 12-year Wild Turkey KSBW finished in Oloroso Sherry casks and bottled at 101 proof. Sounds awesome, right? Well, I think it’s only just, considering the price/profile conflict with 1894, for Australia to see this release. In addition, I think it would be a prudent gesture to offer a mail-in rebate to Australian consumers that purchase (or have already purchased) 1894. Heck, it could even be a coupon for a future Wild Turkey purchase of any kind. Just something to help level the price/profile see-saw I just experienced. As for giving Eddie’s story the proper whiskey (remember, we want Tombstone not Wyatt Earp), I have an idea (with all due respect and admiration towards Eddie). First off, let’s consider 1894 a tribute to Warehouse A and leave it at that. Next, I’d kindly ask Eddie to open a bottle of 1981 Wild Turkey 101 8-year (remember, ‘81 was the year he took that first straight-from-the-barrel sip). Study and savor it until that bottle is all you breathe and taste in your mind. Then, search every barrel of every floor of every rickhouse until you develop a batch that’s nearly comparable (I get that ‘81 is dusty glut era, but work with me here). When you’re satisfied and confident this masterful batch is complete, name it Master’s Keep 1981 and let that be your true “perfection in a bottle.” I realize things have changed and the profile won’t be exactly the same, but I know for a fact it could get close. I’ve tasted some superb WT/Russell’s Reserve barrels – Eddie, you’ve tasted a thousand times more. Master’s Keep 1981 … it’s your huckleberry. I should probably begin to wrap things up now. To my readers, I thank you for your patience, as this review has been considerably lengthy (my longest review to date by far). To Eddie Russell and the folks at Wild Turkey/Campari, I sincerely appreciate your attention and hope that you at least understand my point of view. You don’t have to agree with it, I only ask that you take my words to heart. Master’s Keep 1894 is, at best, a mid-shelf bourbon in top-tier packaging. If Master’s Keep 17 and Decades were no longer available in Australia, then I might recommend 1894 as a gift for the diehard Wild Turkey fan that appreciates a substantially lighter (proof and flavor) bourbon. Outside of that, you’re better off with a couple bottles of Wild Turkey 101. Simply put, the price/profile ratio is far too skewed to the left. While I’d love to give every Wild Turkey whiskey a solid gold 5/5, as Doc would say, my hypocrisy goes only so far. Photo courtesy @rauy_aus (2017) – and a very special thank you for the sample! How can I purchase one of these? Nobody, so far, will sale me one as I live in the USA. Is anybody out there that will help me purchase a Masters Keep 1894. It’s AUS only. You’re likely going to have trouble shipping in to the USA. Maybe reach out to some Turkey fans in Australia via social media? They might be able to help. Well, I’m willing to purchase an empty 1894 decanter & box to solve the customs problem. This would complete my collection. I would need it to be in like new condition, though. Could be profitable for someone. David, I’ll ping someone that may be able to assist. Are you on Facebook? If so, check out the Aussie Wild Turkey Collectors or the Wild Turkey Rafter.